If you need a seven-seater, you're no longer confined to big unwieldy people carriers. Now you can have a bit of style and quality too. In fact, there are lots of good cars to choose from. So here's our pick of the best seven-seaters on the market. 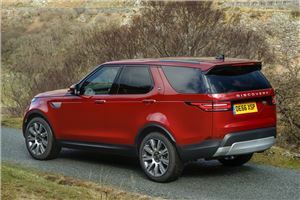 Yes, we realise the latest Discovery is hardly cheap at £50k for a fairly standard model, but when it comes to having seven seats, very few cars can beat it. The plush Land Rover has loads of space throughout but the rear seats are excellent - even for those over six-feet plus all the rear seats fold down electrically. When it comes to comfort, quality and practicality, this is head and shoulders above the rest. The Kodiaq neatly sums up the Skoda brand in a nutshell. It may not be the most exciting thing to look at, but it's great value for money, has loads of genuinely useful touches (what Skoda calls its Simply Clever features) and feels like a quality vehicle. 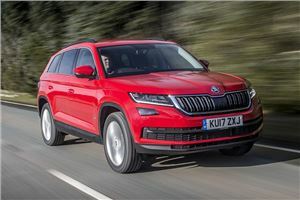 Seven seat models start at around £27,000 and it comes well equipped as standard, although you might want to pay more for a diesel - the 1.5-litre TSI petrol feels a bit underpowered in a car this big. The fact that there are as many seven seat SUVs as people carriers in this list, shows you just how much the market has changed in the last decade. 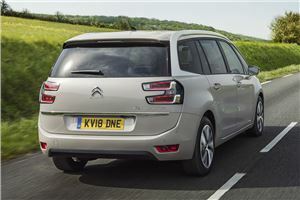 But there's still demand for the MPV, especially now they are no longer big boxy things. As the S-MAX shows. This now outsells the Galaxy in the Ford range - the latter being more of a favourite for private hire firms. 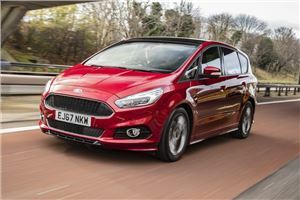 The S-MAX handles incredibly well for an MPV - and although not as good to drive as the original model - it has at least traded that sharpness for comfort, making this one of the smoothest cars, regardless of class, on the road. 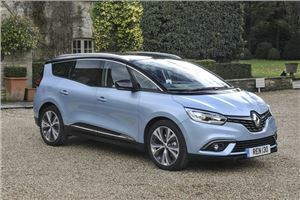 Renault has a strong claim to have invented the 'MPV' with the Espace (although Chrysler would suggest otherwise) but the big French people carrier is no longer sold in the UK. That's not to say that Renault has abandoned the MPV altogether - as the Grand Scenic proves. It feels a huge step up in quality from the previous Scenic and it comes with plenty of standard features including an iPad-like touchscreen on the dash and 20-inch alloy wheels. The latter does affect the ride - and not in a good way, but the Renault still feels a very comfortable and good quality seven-seater. It may not be the most exciting of cars on the market, but the Sorento has lots of appeal if you're buying with your head rather than your heart. And that's despite a surprisingly high starting price. 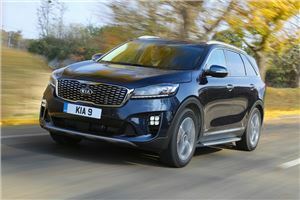 Yes, this is a Kia, but the cheapest Sorento you'll get new costs more than £30,000. Ouch. The CRDi diesel is pretty noisy, but that aside, the Kia feels well engineered with a solid interior. It's proving reasonably cheap to run with around 35mpg according to Real MPG. Add in the standard Kia seven-year warranty and it's easy to see why the Sorento is so popular. 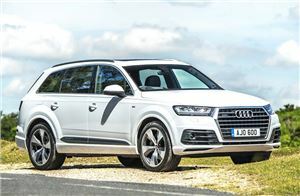 This generation of Q7 features one of the best interiors of any car around, in our opinion. It feels like a genuine luxury car that is also fitted with some of the latest technology available, including things like the Audi virtual cockpit - basically a configurable hig res screen that replaces the conventional dials. It's incredibly comfortable and one of our favourite cars for covering long distances in. That's helped by the superb TDI engines that give you strong performance but with very little noise. Plus there's also the immensely quick SQ7 version. Citroen renamed its Picasso range in 2018 - with the Grand C4 SpaceTourer replacing the Grand C4 Picasso. Thankfully, it's still an excellent people carrier, with a versatile cabin and enough room in the second row for three adults (or three child seats). The rear-most seats are best suited to children, but drop them and the boot is nothing more than huge. It's a more relaxing drive than the Ford S-Max, and the engine line-up is strong. 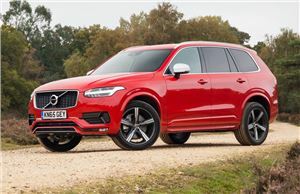 Like the Discovery, the Volvo XC90 is one of those seven-seaters you buy if money is no object. It's more of a rival to the Range Rover, in fact, its interior is so impressive. Most buyers will opt for the excellent D5 diesel engine, which offers plenty of power and reasonable fuel economy. There's also a T8 plug-in hybrid available, combining a huge 640Nm of torque with 400PS. It's pricey, though, and don't expect much more than mid-30s mpg. 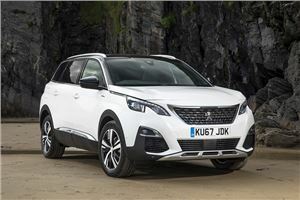 While the old 5008 was an MPV, this latest generation is now an SUV - but one thing remains and that's the fact it has seven seats. It also has the same interior as a 3008, which we think is one of the best around, even if the small steering wheel does take a little getting used to. There's a good range of engines including Peugeot's economical HDi diesel but if you're not doing big miles, the impressive Puretech petrols are an excellent choice. 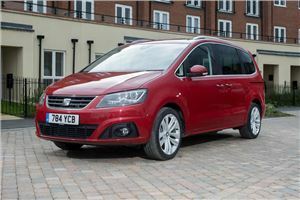 It may not be the newest or most stylish of MPVs on the market - which is small wonder given it was launched in 2010 - but the Alhambra has lots of appeal. That's thanks in no small part to the fact it has sliding doors. Always handy in tight car parks when you're trying to get kids out of the back. There is also the Volkswagen version in the form of the Sharan but the Alhambra is cheaper (both new and used). Like the Volkswagen it comes with plenty of useful features including five sets of Isofix points and the option of integrated child seats in the middle row. I waited with abated breath for the launch of this vehicle. Having driven Skoda Superb's for years but also run traditions seven seater's (Galaxy's, 807's) I thought to myself why don't Skoda make a seven seater they will take that market by storm. They launched the Kodiaq, I rubbed my hands with glee, I went for a viewing in the showroom. OMG. what a disappointment. Not with the build quality, not with the prices. No Skoda have missed the point completely with their SEVEN seater. Now if they wanted to make a 4/5 seater with even more load lugging capacity with modern good looks and the occasions two kids in the back car then they've nailed it. When the sale rep approached he directed me to the drivers seat, "no not there" I said, He showed me the engine bay, "No not there either mate". I said its a seven seater isn't it? Yes said the rep, "well show me the seven seater the rear ones then please. That's when the fun or more the disappointment started. Tucked up in the boot space were a couple of Vafira style fold flat little seats fit for, well little people. Great I said, "how do you get into them"? what a faff. squeezing in past the middle row. Fiddling with a fold down mechanism. I am 6' 1" and over 60 so not in the first flush of youth. My mobility is OK though. So I says, "lets see if I can get in". Nope didn't happen. Shall I climb in through the boot I though, no don't do that, that's just silly. So, I explained to the salesman. "Sorry pal, not buying one of these ever". WHY!. The salesman said, where are you going to find one like that! I pointed to my old 164K miles Merc Ambiente parted outside and said, "THERE, bye". Dissapointed I was! Look like I am going to be sticking to the old seven seater based on a van principle, because it works. Having said that, nobody has mentioned the also excellent Chrysler Grand Voyager. even the older ones with stow n go seats. Safety Ncap tests aside, they are excellent seven (adult) people carriers. I waited with abated breath for the launch of this vehicle. Having driven Skoda Superb's for years but also run traditions seven seater's (Galaxy's, 807's) I thought to myself why don't Skoda make a seven seater they will take that market by storm. They launched the Kodiaq, I rubbed my hands with glee, I went for a viewing in the showroom. OMG. what a disappointment. Not with the build quality, not with the prices. No Skoda have missed the point completely with their SEVEN seater. Now if they wanted to make a 4/5 seater with even more load lugging capacity with modern good looks and the occasions two kids in the back car then they've nailed it. When the sale rep approached he directed me to the drivers seat, "no not there" I said, He showed me the engine bay, "No not there either mate". I said its a seven seater isn't it? Yes said the rep, "well show me the seven seater the rear ones then please. That's when the fun or more the disappointment started. Tucked up in the boot space were a couple of Vafira style fold flat little seats fit for, well little people. Great I said, "how do you get into them"? what a faff. squeezing in past the middle row. Fiddling with a fold down mechanism. I am 6' 1" and over 60 so not in the first flush of youth. My mobility is OK though. So I says, "lets see if I can get in". Nope didn't happen. Shall I climb in through the boot I though, no don't do that, that's just silly. So, I explained to the salesman. "Sorry pal, not buying one of these ever". WHY!. "I want a seven seater that sits seven people of adult size. In comfort. With ease of access to the rear seats. That's flexible in its seating arrangements". I want to be able to take those seven people on long journeys knowing they will be comfortable. lots of leg room, arm rests, proper seats. I want if need be to be able to load lots of luggage or things by having no seats at all (except for the front two obviously) The salesman said, where are you going to find one like that! I pointed to my old 164K miles Merc Ambiente parted outside and said, "THERE, bye". Dissapointed I was! Look like I am going to be sticking to the old seven seater based on a van principle, because it works. Having said that, nobody has mentioned the also excellent Chrysler Grand Voyager. even the older ones with stow n go seats. Safety Ncap tests aside, they are excellent seven (adult) people carriers. I agree, the Mercedes Ambiente would be almost impossible to beat. I have had access to one from new since 2006 and there is nothing that can compare amongst modern vehicles. Comfort on long journeys is first class as all the seats are full size, easily accessible and comfortable. Removing the seats enabled me to move a 7 seat sofa unit & all the cushions on one occasion. I couldn't believe that it would all go in, but it did. That's why we still maintain this 12 year old beauty even though it's showing signs of wear on the bodywork, a superb piece of German engineering.